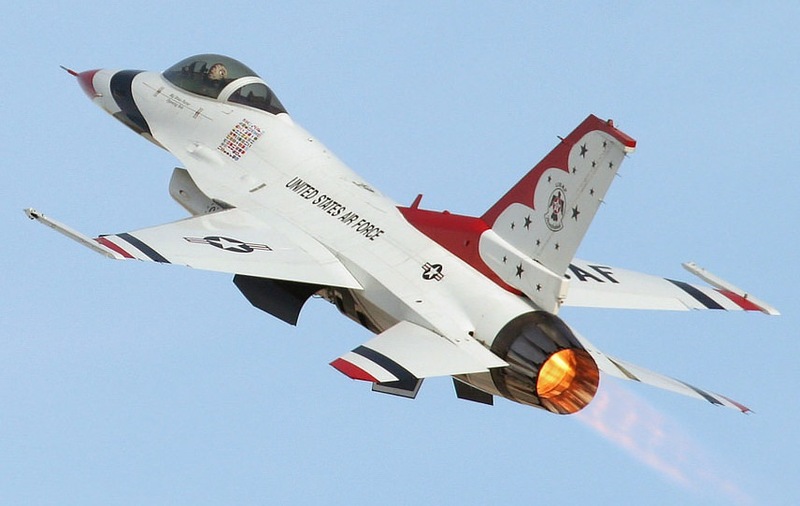 The United States Air Force Air Demonstration Squadron, the "Thunderbirds," is the Air Force's premiere aerial demonstration unit. Stationed at Nellis Air Force Base in beautiful Las Vegas, Nevada, the team continues to demonstrate the dynamic skills and training that every Air Force fighter pilot employs. Wherever they may be, the Thunderbirds showcase dedication, teamwork, professionalism, and commitment throughout their 40 minute performance. 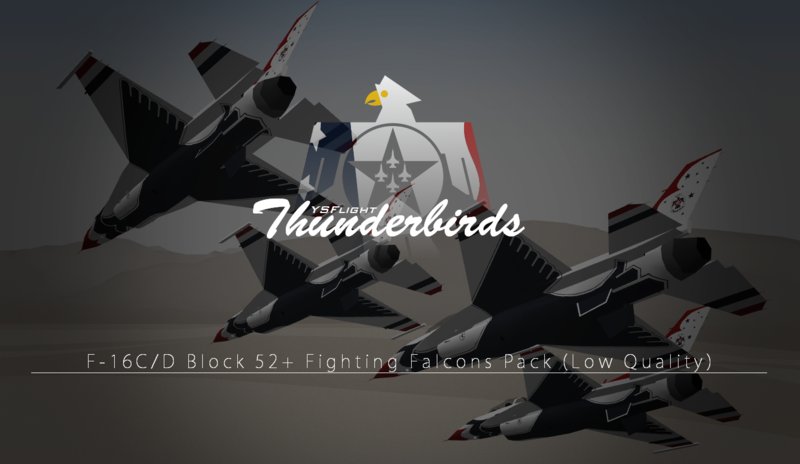 This is the official release of the YSFlight Thunderbirds' Low Quality F-16 pack. The download includes all C model aircraft #1-7, and Delta models #4, 7, and 8. These flight models are intended to be used for future YSFlight aerial events. The D models also have attachable centerline fuel tanks and an additional viewpoint in the back seat. Remember to UNINSTALL any existing YSTB mod that you may have in your current build(s). Delete the "air_hdystb.lst" file in your main aircraft folder and the "hdystb" folder in your main user folder, then install this mod by drag and dropping the files/folders into their proper locations.